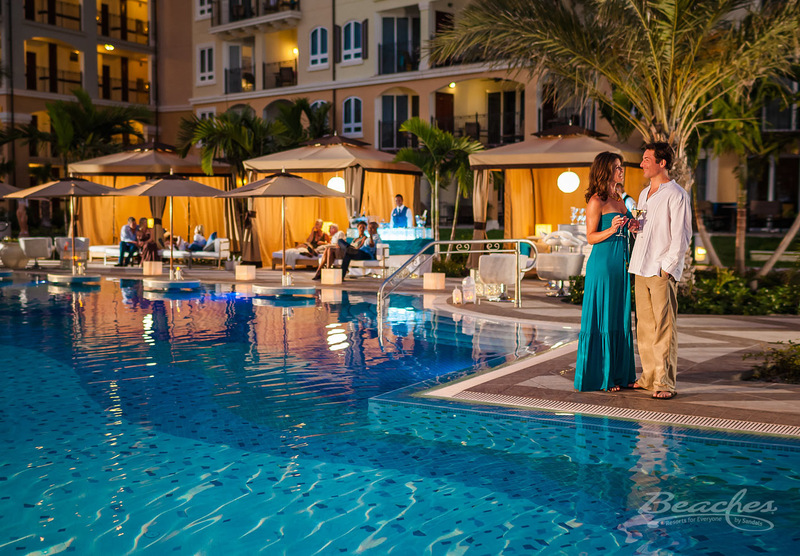 Beaches is the family resort brand of Sandals Resorts International (SRI), a big name in Caribbean all inclusive resorts. • Grand Pineapple Beach Resorts -a newer brand of (relatively) value-priced all inclusive that welcome singles, couples, families, groups.• Royal Plantation Collection: boutique resort in Jamaica (the Royal Plantation Ocho Rios, Jamaica); Royal Plantation Island, Exumas, Bahamas, a private island in the Bahamas (six luxury villas); Royal Plantation Villas; and more properties in development.Children can stay at the Villas and Royal Plantation Island; trained nannies are available. 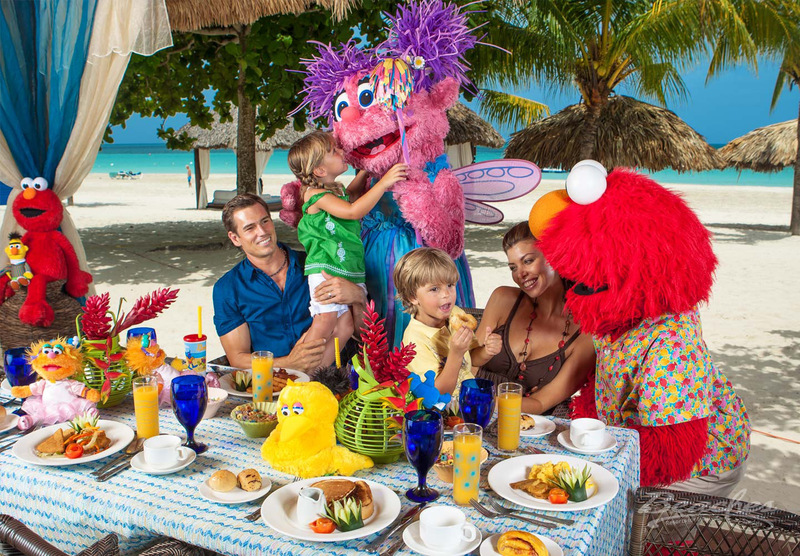 There are currently two Beaches Resorts in Jamaica and one in Turks and Caicos.Beaches Resorts offer a higher-end type of all-inclusive experience, are "ultra all inclusive", have nurseries and extensive kid’s programs, plus some attractive extras such as a partnership with Sesame Street. Butler Service, too! 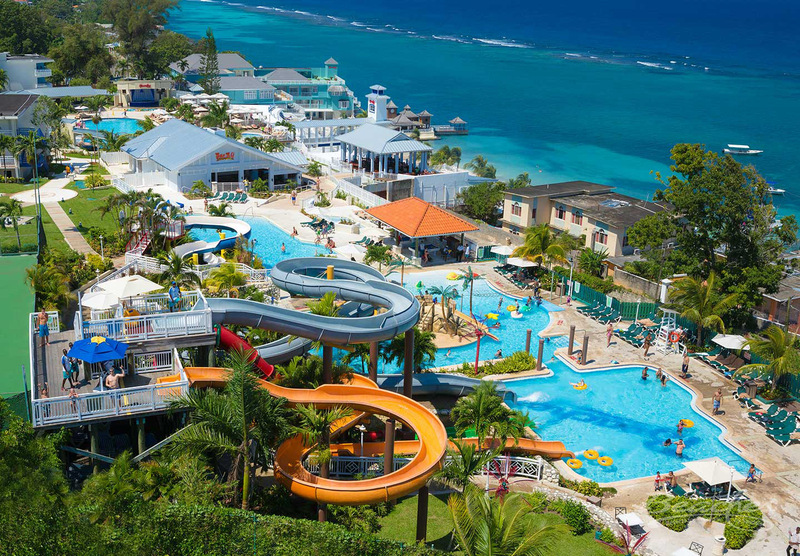 Beaches Turks and Caicos: flagship property, known for white-sand beach and turquoise sea; on-site waterpark is another draw. 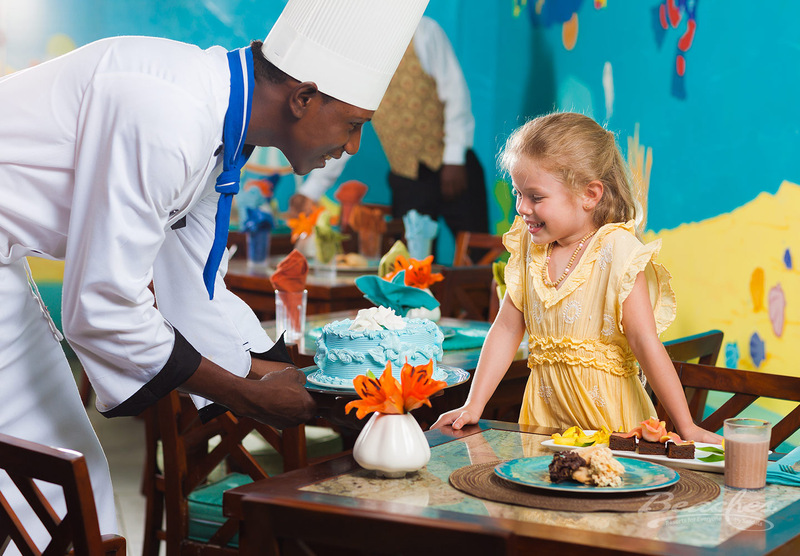 Kids Programs serve many different age groups: infants; toddlers; 6 - 7-year old; 8 - 12-year-olds; and 13 and up. Hours for the older groups extend to 9 at night. Professional nanny care is available after hours. 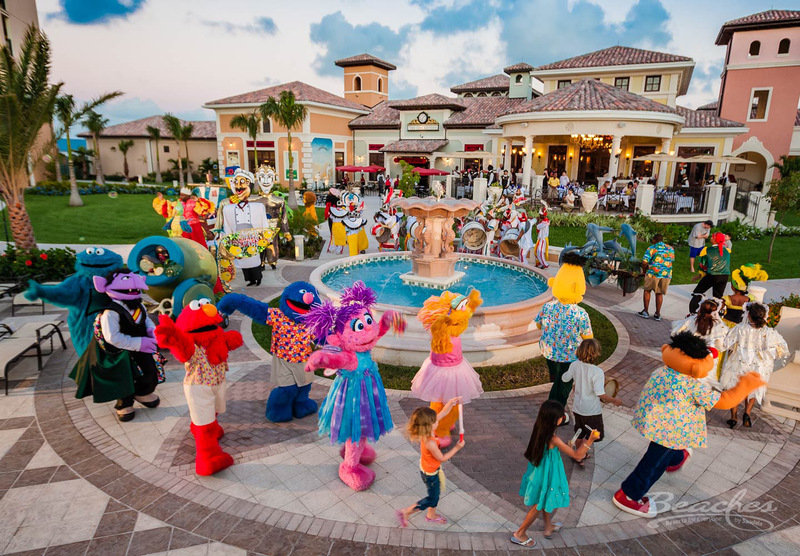 Sesame Street: character appearances, stage shows, daily activities such as story-time with Elmo, cookie-making with Cookie Monster, and more. 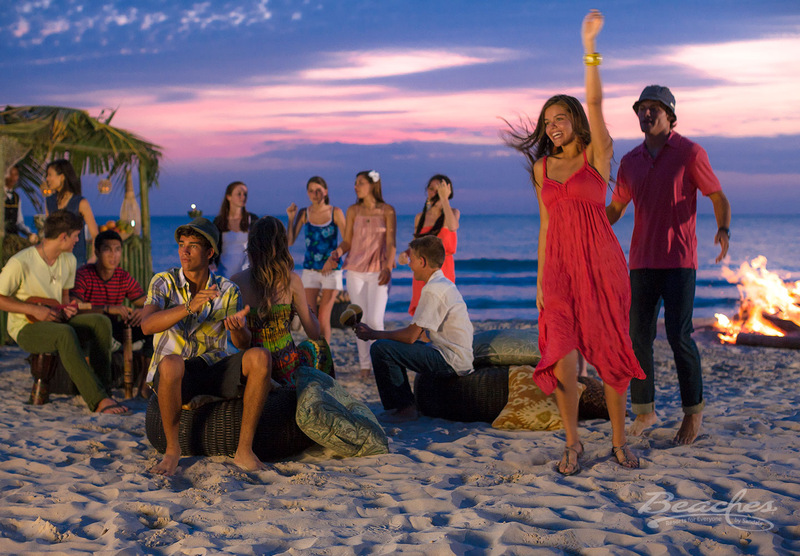 Teen and Tween Programs: Trench Town teen hangout is available at Beaches Negril, Beaches Boscobel and Beaches Turks & Caicos. 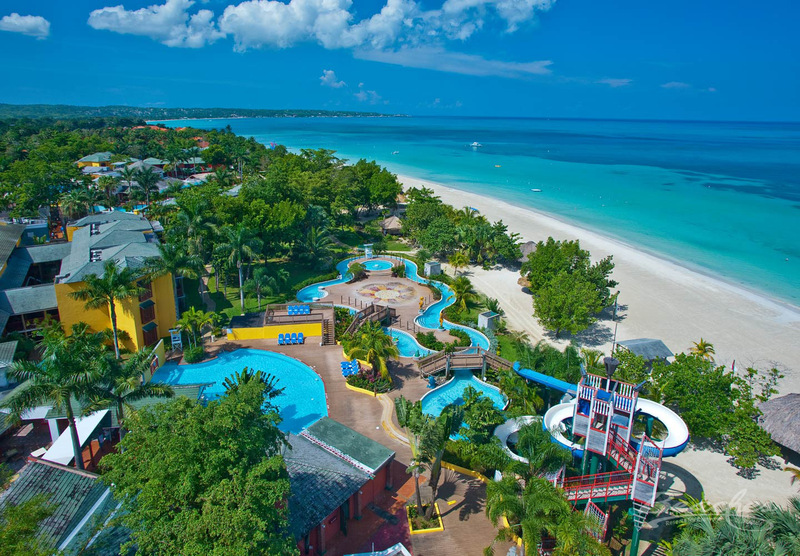 (Beaches Sandy Bay currently has no Trench Town*, but guests can use amenities at Beaches Negril thanks to a "Stay at One, play at Two" program). Other teen/Tween features include Scratch DJ Academy and aqua-themed nightclub, Liquid. 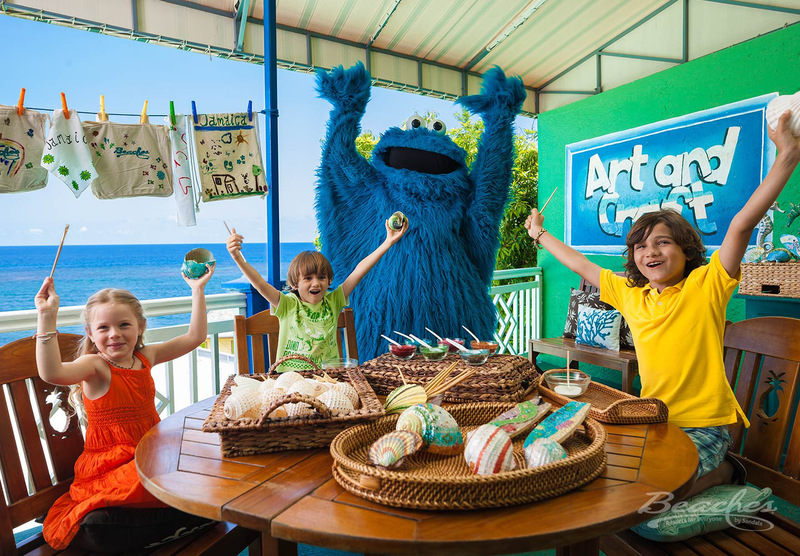 Watersports include water-skiing, sailing, glass-bottom boats, kayaking, aqua-trikes, hobby cats, snorkeling. Land sports include volleyball, pool, basketball, horseshoes, tennis, squash.